Classic espadrilles as everyday shoes outside of your holiday suitcase? Yes, that's an entirely acceptable thing no matter where live. For a few summers in a row now, the fashion sets on both sides of the pond—from Leandra Medine of Man Repeller to Lucy Williams of Fashion Me Now—have been wearing their best espadrilles. So it's offical: The traditional Spanish style is now viable as a fashion statement on weekends and during working hours (if your office bosses should permit it). Many girls have leapt on board with the originals from the likes of Castañer, but there are plenty of souped-up versions coming in fast from designers and the high street. Scroll down to shop some of the best espadrilles available now. 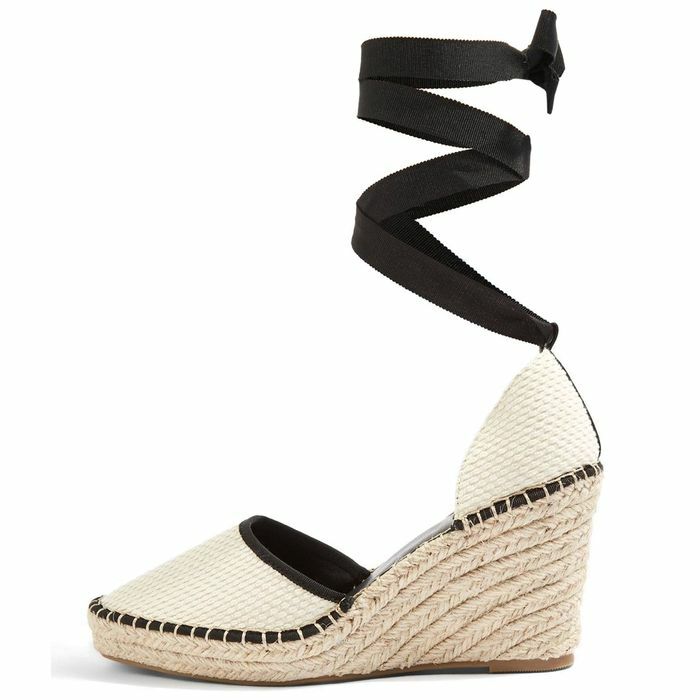 Castañer is the name to know in espadrilles. Evening-appropriate espadrilles courtesy of Aquazurra. All the additional height without any discomfort. Wear with floaty white summer dress for a Chloé-girl vibe. Your go-to for dark cropped denim.